Good is Wicked and Wicked is Good in the New York Times bestselling Dorothy Must Die series! 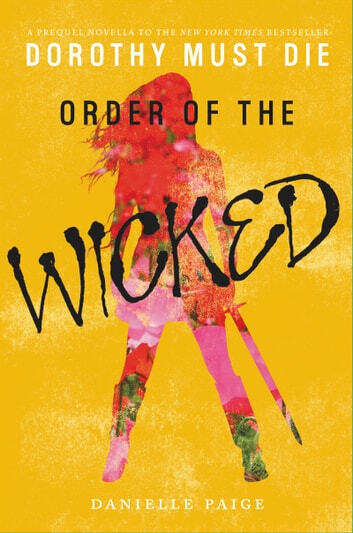 This digital original novella is the seventh installment in the series’ prequel arc, and reveals how some members of the Revolutionary Order of the Wicked came to be. Dorothy Gale’s armies killed Lanadel’s entire family, and she’s determined to seek revenge. She sets off to find the elusive, secretive group known as the Revolutionary Order of the Wicked. They’re rumored to be training their own army to defeat Dorothy. But when she finds them, Lanadel soon learns that she’s seriously underprepared both in fighting skills, as well as magical abilities, and she has to prove herself in order to join the Order and become one of them. Danielle Paige delivers a dark and compelling reimagining of L. Frank Baum’s The Wonderful Wizard of Oz, perfect for fans of Cinder by Marissa Meyer, Beastly by Alex Flinn, and Wicked by Gregory Maguire, and follows some of literature’s most beloved characters as their lives intertwine to bring about the downfall of Oz.